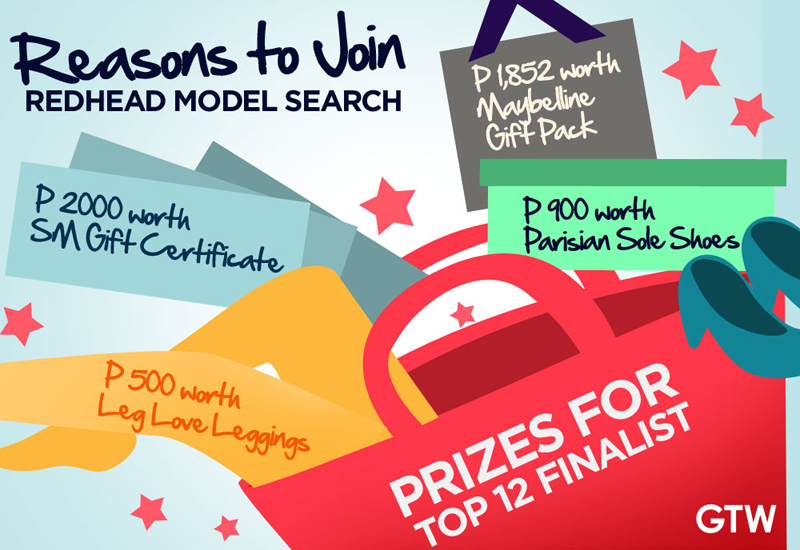 SM Girls Teens’ Wear is now looking for the next batch of Redhead Models this 2012! The search is open for girls 15 to 25 years old, single and at least 5’1” in height. 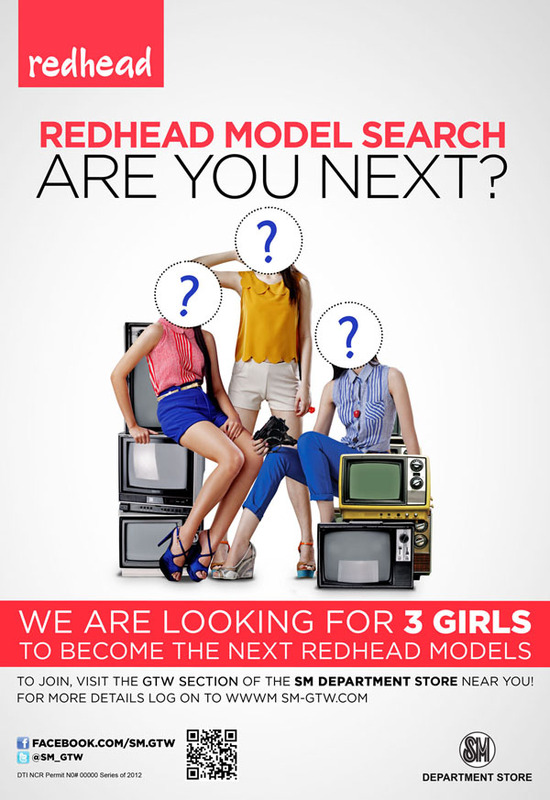 Do you think you have what it takes to be the next Redhead Model? To join, simply purchase P399.75 worth of any regular priced Redhead item found at the Girls Teen’s Wear section at all SM Department stores nationwide between July 13 to September 6. Each P399.75 single receipt corresponds to a unique registration code which can be redeemed at booths found inside the Girls Teen’s Wear section, along with an application form. Fill out the details required and make sure to submit a full body photo and a close up head shot photo. Once you've filled out the form and prepared your photos, you may submit them at the designated booths at the GTW section at SM Department stores or you may submit your application online at the SM GTW website or through their Facebook account. Last day for submission of all application forms is September 6, 2012. Announcement of the Top 12 finalists will be made on-line by September 14. They will undergo training modules on make-up, styling and modeling. They will also get Maybelline giftpacks, SM GCs, Leg Love leggings and Parisian shoes. Public voting will be open from September 14 until September 27 for the Top 3 winners. The 3 Redhead winners will be announced and presented to the public during the Candy Magazine Annual Fair on September 29, 2012. 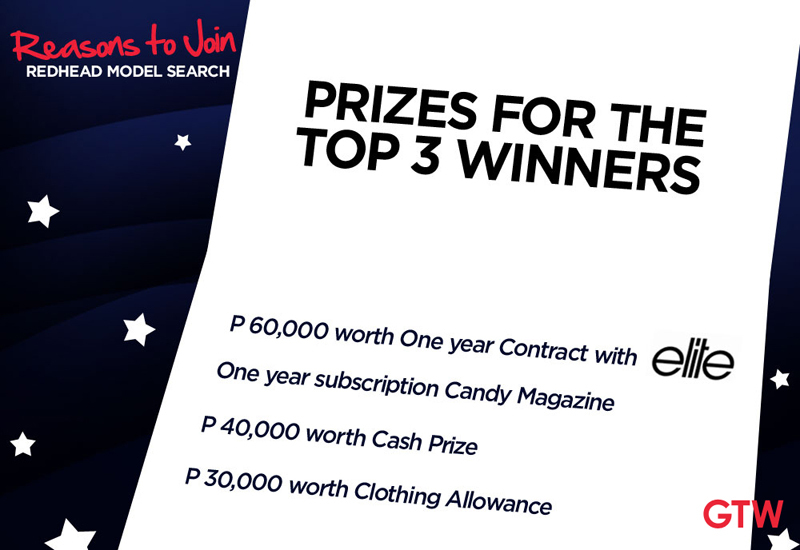 Glamorous prizes await the top 3 girls including a 1-year contract with Elite Models Inc, Redhead clothing allowance, a 1-year subscription to Candy Magazine and a cash prize worth P40,000. So what are you waiting for? Grab this once in a lifetime opportunity! 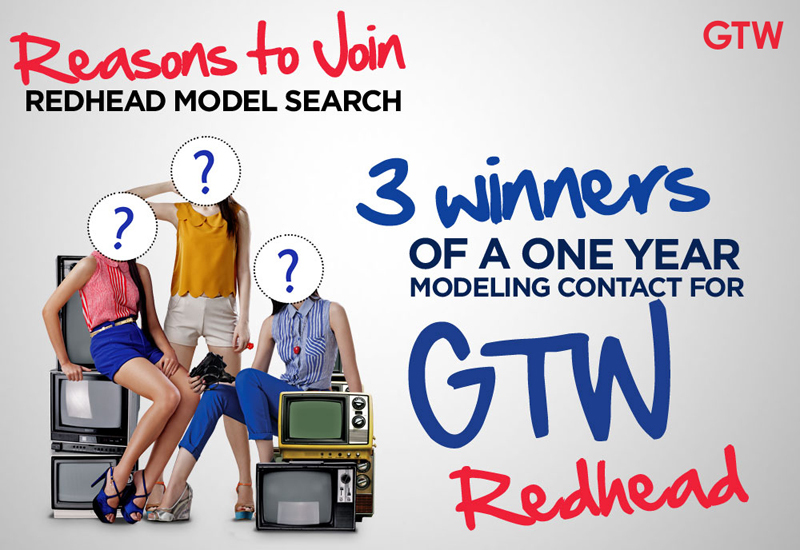 Join now and you just might be part of the next batch of Redhead Models. For more details, log on to the SM GTW website. For inquiries or updates, like them on Facebook and follow them on Twitter.